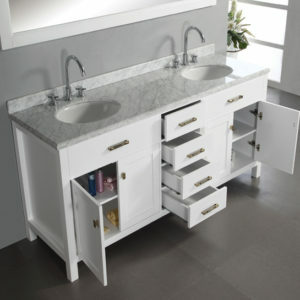 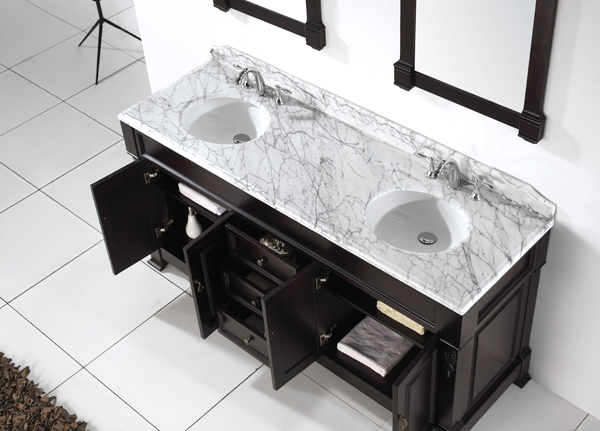 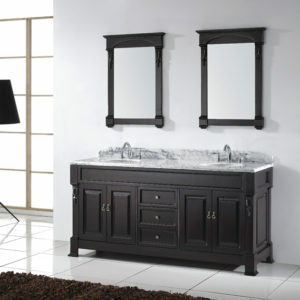 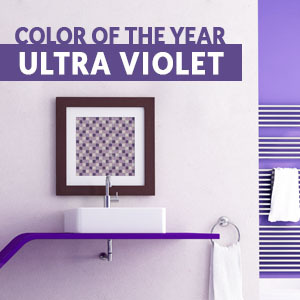 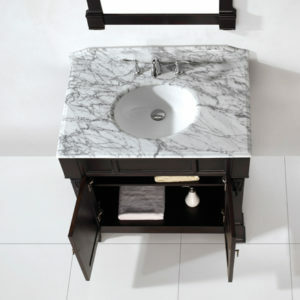 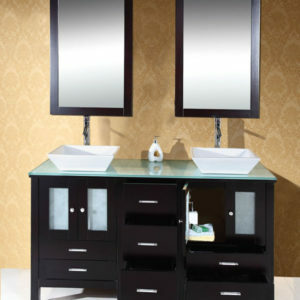 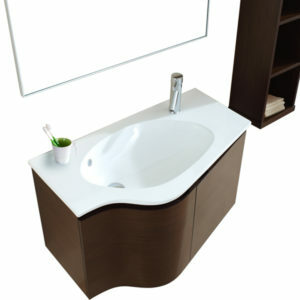 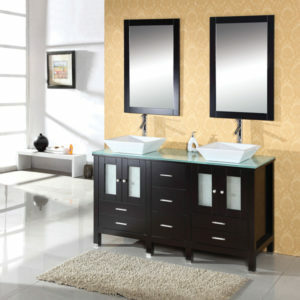 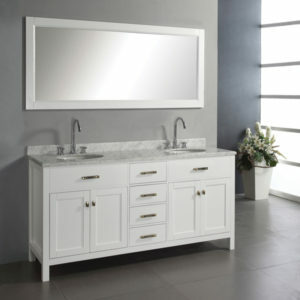 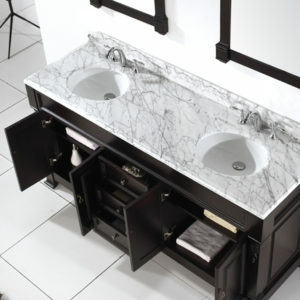 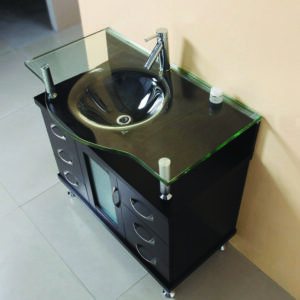 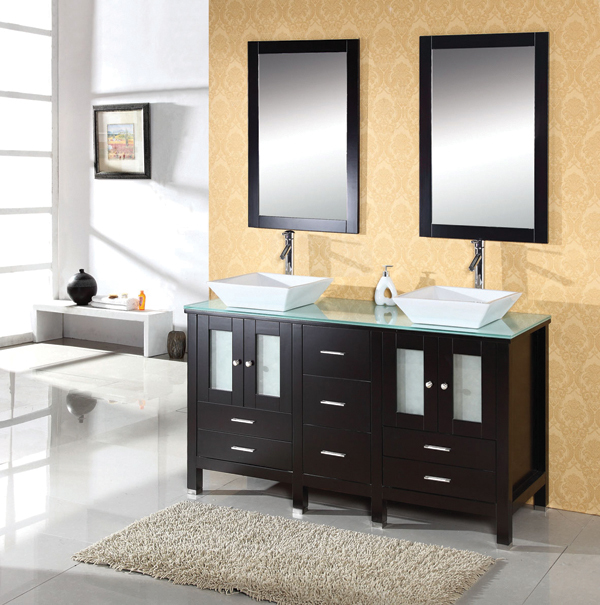 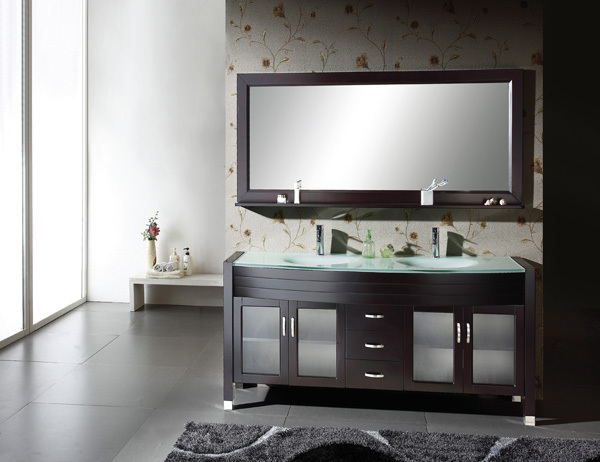 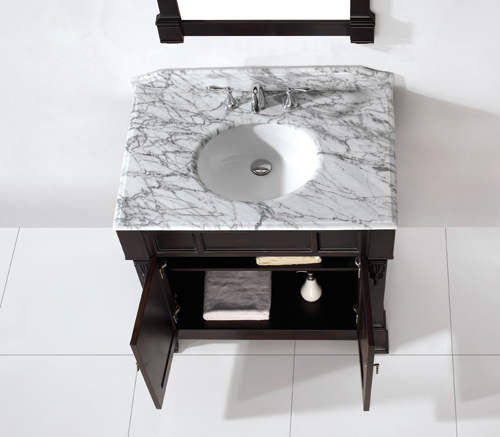 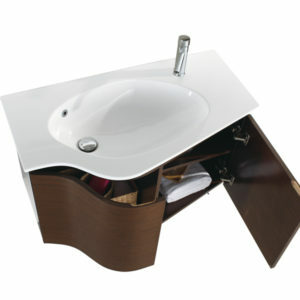 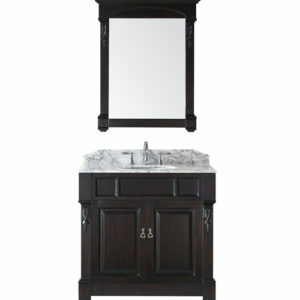 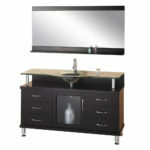 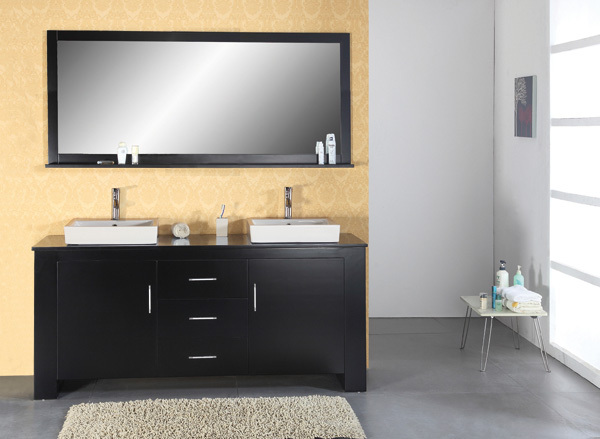 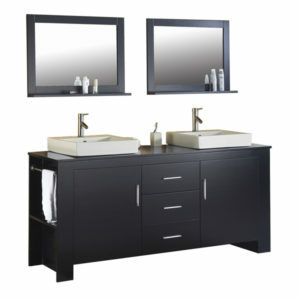 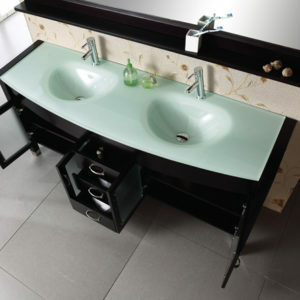 The Vincente Bathroom Vanity establishes a strong, solid foundation for any modern bathroom. 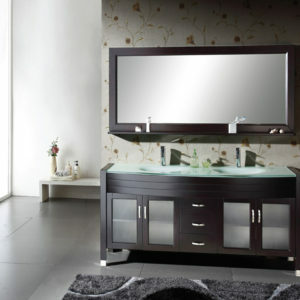 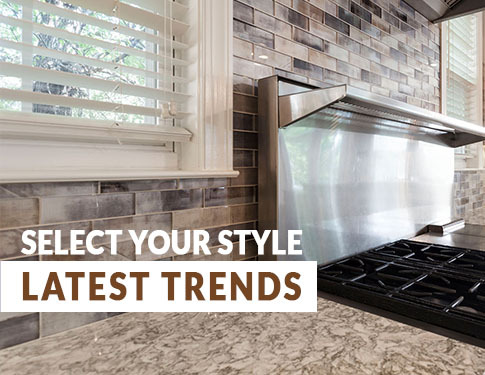 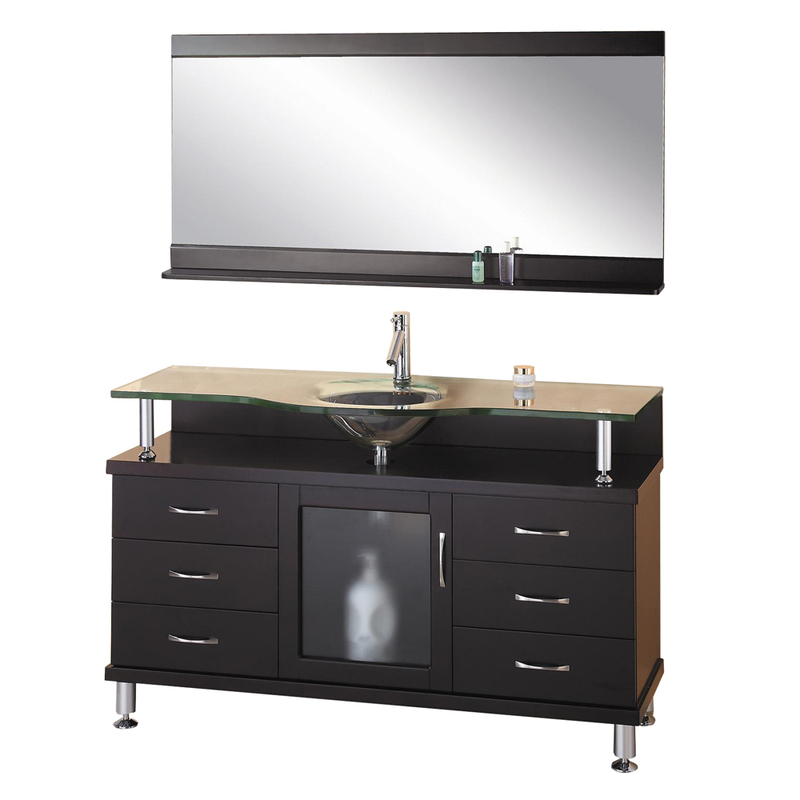 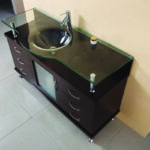 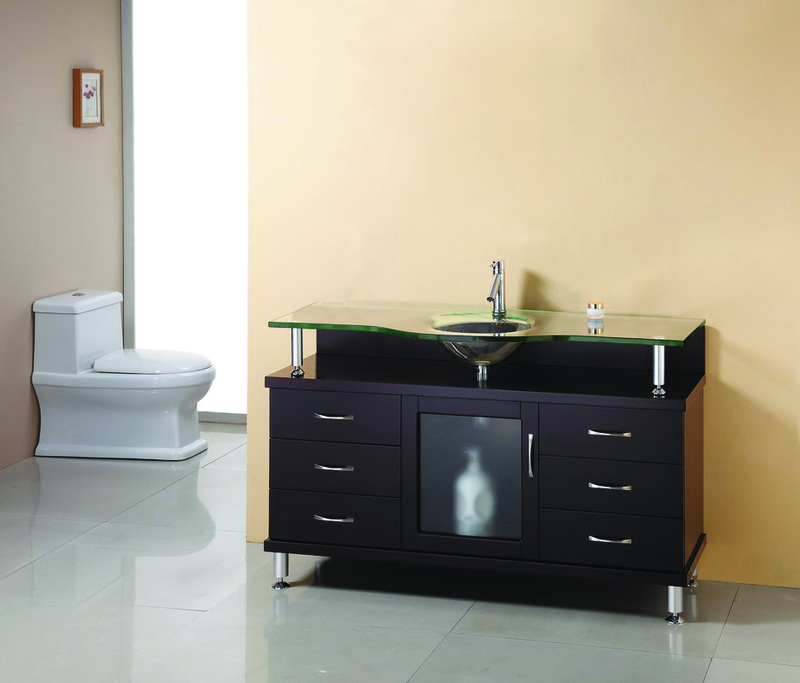 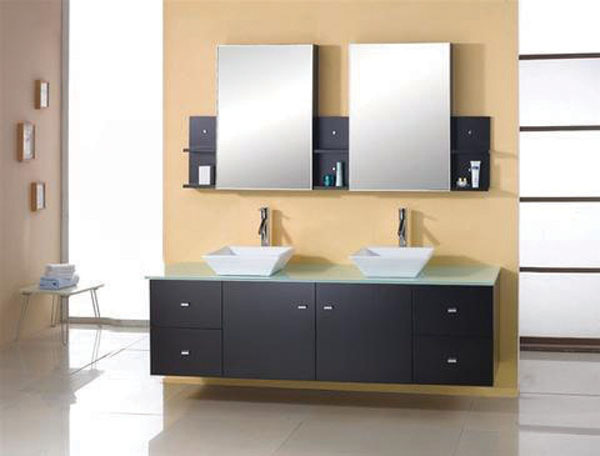 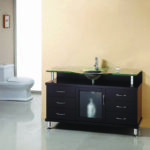 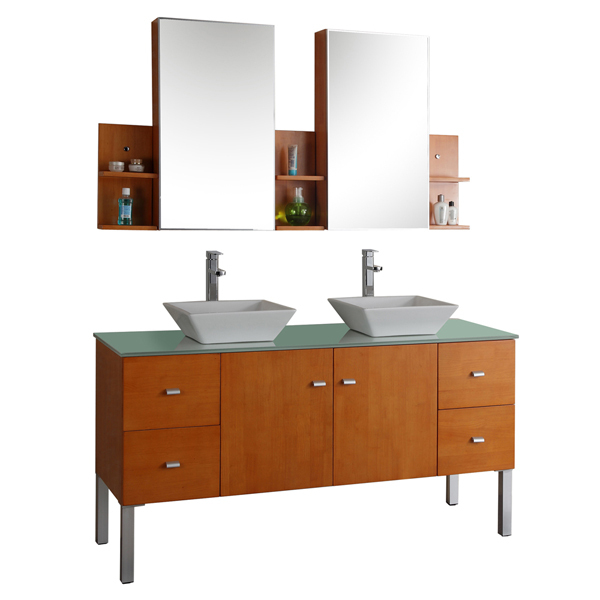 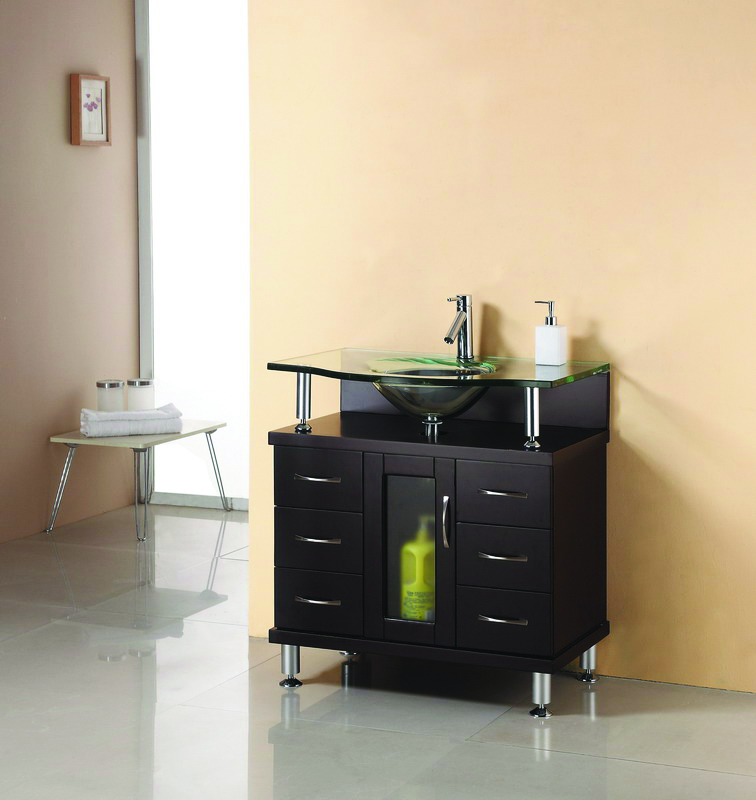 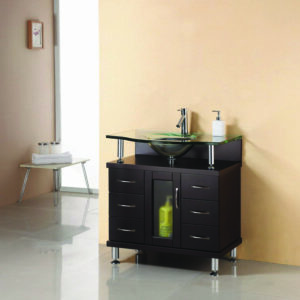 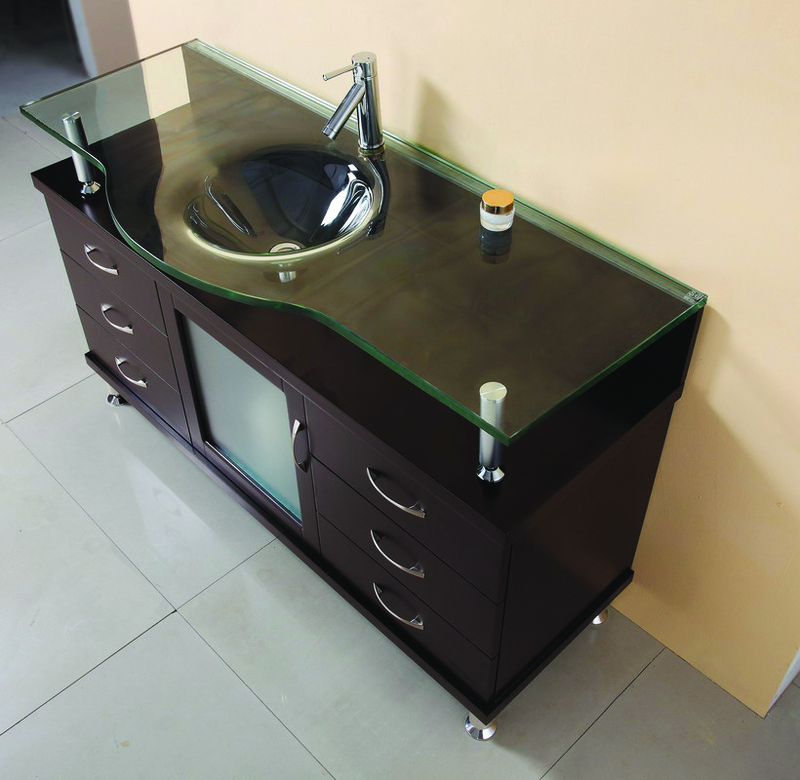 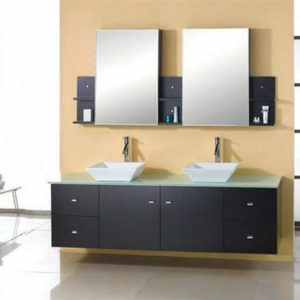 Its oak wood construction with six slider drawers, middle shelving compartment, Espresso finish, 3/4″ heat-tempered safety glass basin are the perfect combination of the latest design in contemporary modern vanities. If you’re in the middle of a contemporary bathroom remodel and need a signature piece, you need the Vincente Bathroom Vanity.